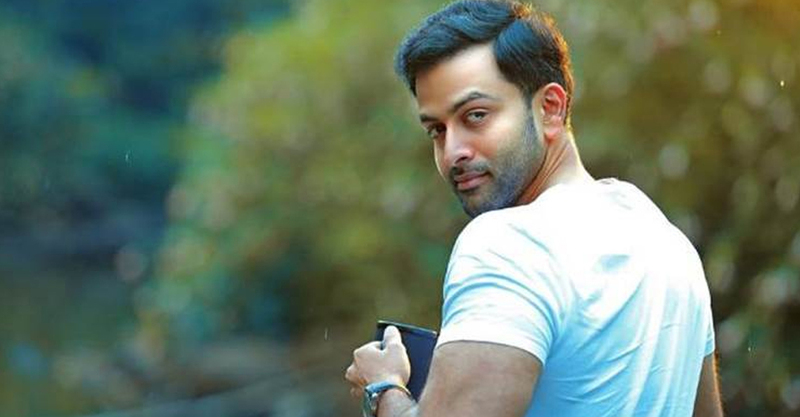 Actor Prithviraj is the one who finds time to interact with his fans within his busy schedules. He also finds time to share his moments and happenings through social media. prithvi and his wife Supriya is also very active in social media. 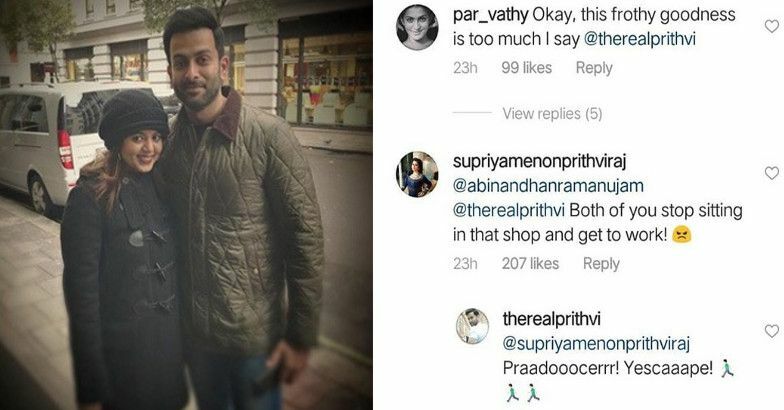 Now the Social media is discussing a comment that Supriya has posted to a photo the actor put in Instagram. The incident happened in the shooting site of the new production ‘Nine’. Prithviraj posted a photo of tea cup while he went to drink tea in between the shooting of the film. He also tagged the movie Cinematographer Abinandh Ramanujam. Supriya replied to the photo ‘Both of them stop sitting there and get to work. Seeing the comment Prithvi also replied like producer escape. This insta comments is the new talk between netizens. 9 is the first production of Prithviraj productions. The movie is produced in collaboration with Sony pictures and Prithviraj’s wife Supriya is co ordinating the production. Director Kamal’s son Jennuses Muhammad is the director.